Catch this true story: Rick Cerone might look like a disgruntled plumber with an amateur boxer's busted nose, but he was so much more. 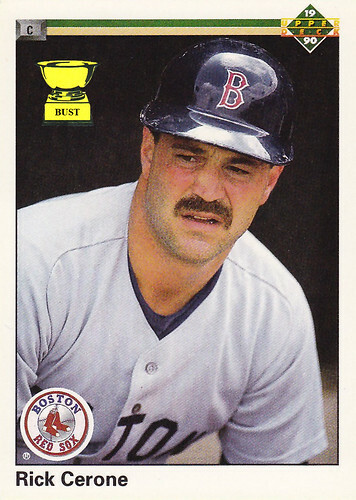 Sure, Cerone played 17 seasons in the big leagues for the Indians, Blue Jays, Yankees, Braves, Brewers, Red Sox, Mets, Expos and the Newark Bears of the independent Atlantic League while compiling 436 RBIs and one helluva mustache. But it was his turn as a recording artist in 1981 that really cemented his place in baseball lore. The song title? Get this: "A Long Run Home." Don't believe us? Click here. Still think we're full of it? Click here. The premise? A Newark baseball player sings about visiting a big-city New York stadium during a snowstorm. Seriously. And the proceeds? According to the liner notes, all proceeds were to go to Italian earthquake victims. Cerone, you working-class hero, take a bow.